1. Dooney & Bourke Collegiate Purse - D&B's line of NCAA and MLB team handbags is my new obsession and it's about to be your mom's, too. The price may be a little steep for some budgets, but mom's love is priceless, right? 2. Dainty Longhorn Necklace - This is the perfect everyday necklace! It's pretty enough to dress up any outfit and goes with everything. 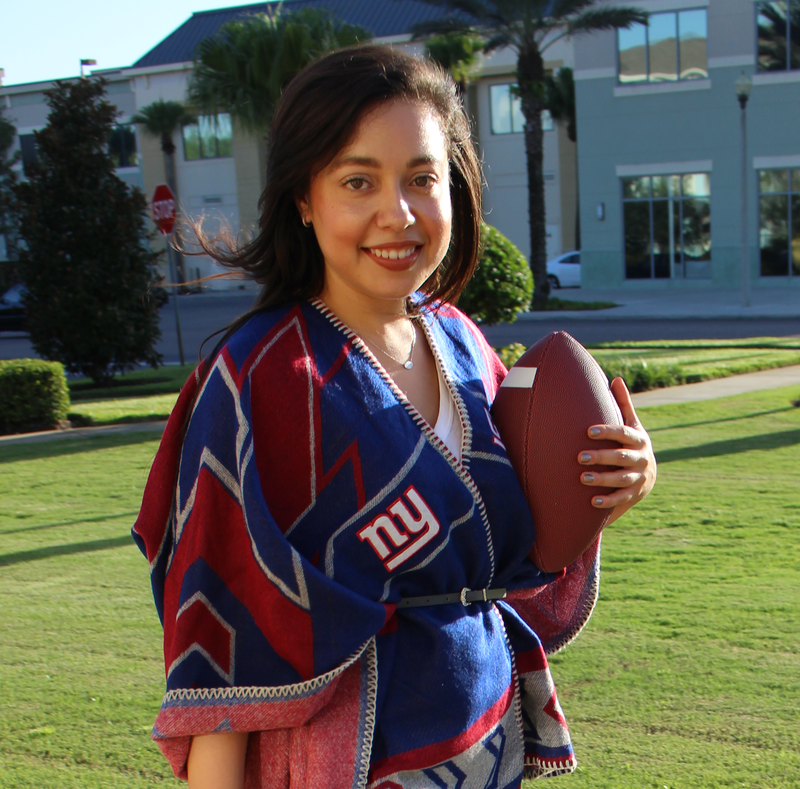 Sugar Bean Jewelry has other options like a lightning bolt (Tampa Bay Lightning), dog bone (Georgia Bulldogs) or arrow (Florida State Seminoles) that could easily work for other sports teams, so make sure to browse their selection. 3. Performance Hoodie - For the active mom, this sleek hoodie will take her from workout to wind down in style. 4. Heart Watch - This watch is so pretty and feminine with a pop of team spirit, just like mom. 5. Statement Mug - This mug says it all, so mom doesn't have to. 6. NBA Sequined Top - Make sure mom dazzles during the playoffs with this stylish shirt. 7. Sandals - This stylish pair of sandals can be worn on gameday and every day. They'll definitely make mom feel like the most fashionable fan in the room. 8. State Cheese Board - Take your mom's cheese board game to the next level with one in the shape of her home state. Cheese not included. 9. Winter Boots - It may be spring, but it's never too early to get mom prepped for next winter. 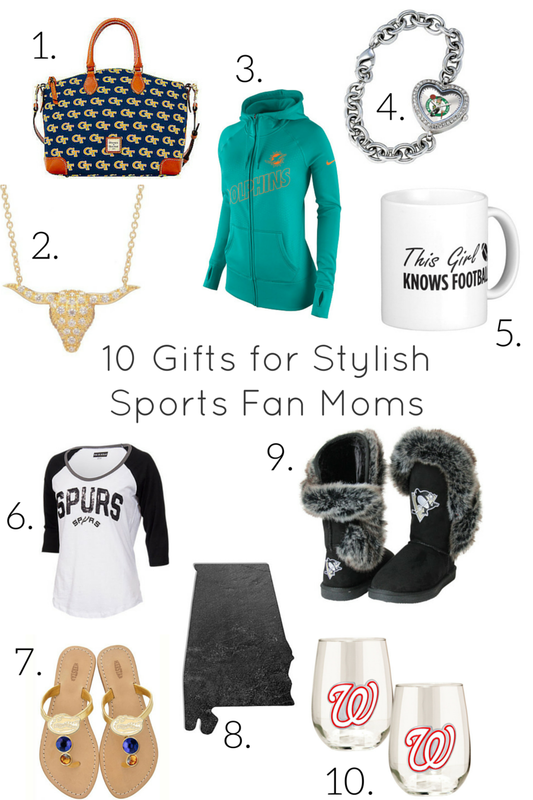 Which gift would you get your sports fan mom?